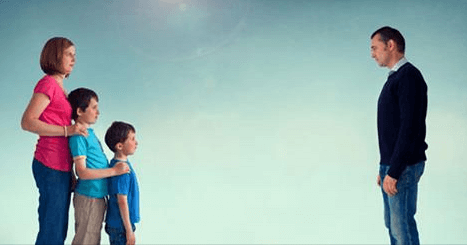 What Can Be the Consequences of a Mother Denying Visitation to a Father? Court orders establish the rules, and anyone in violation of a court order must prepare to face the consequences. An interesting article in the English newspaper the Daily Mail reported that a senior family court judge ruled that mothers who refuse to let separated fathers see their children should have their children taken away from them. After three strikes of denying visitation to a father, the court would award custody to the father. This particular judge considered that custody change was the solution to about 5,000 cases a year involving mothers who defied court orders that established parental contact for fathers. Sending mothers to jail wasn’t a viable solution because of its damaging effects on children. The Texas Court of Appeals arrived at a similar ruling in the case In the Interest of N.W. and N.W. C., Children. This case involved a mother who appealed the court’s ruling when the court changed custody awarding it to the father. Along a similar vain, parental alienation was a factor in this case. The court decided the mother was trying to alienate the father from the children and turn the children against him, so the judges confirmed that awarding custody to the father was a just decision. As a rule of thumb, you shouldn’t violate court orders and should seek legal help right away when running into conflicts with parenting. It’s vital to understand your rights and your ex-spouse’s rights under Texas statutes. Our attorneys at C.E. Borman & Associates work closely with you to help you understand the legal issues involved and protect your rights.